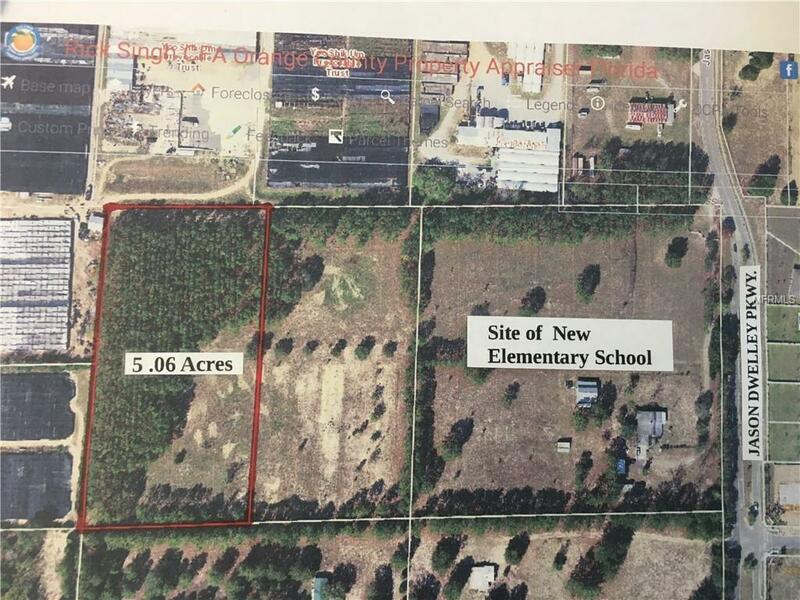 5.06 Acres adjoining an additional 5.06 acres and contiguous with property now owned by Orange County School District which fronts on Jason Dwelley Parkway and is the site for anew elementary school. This site is approximately one mile from the new 429 Toll road with easy access to Orlando area, the attractions and only one hour to New Smyrna Beach and Daytona. This property is in an ideal location for future development. Access via an easement from Jason Dwelley Pkwy. Listing provided courtesy of Catherine Hanson Real Estate,.